Check out the latest gadget from the guys at Art Lebedev Studio the Optimus Pultius. The Optimus Pultuis adds 15 keys to your setup. Set to be a cool addition to the main two peripherals, the keyboard and mouse, Optimus Pultius features 15 OLED keys aligned in three neat rows. 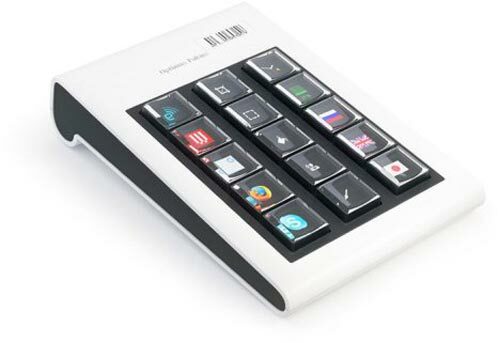 Optimus Pultius uses the same principles as Maximus Keyboard, has the same display keys and the same set of ports on the back (using one instead of two additional USB hub slots). No word on pricing or availability as yet.